Common Law used against common people that makes no common sense. 3 years on still no justice 3 years ago that the Supreme Court acknowledged Joint Enterprise was wrong. 3 years on and only one conviction overturned. 3 years ago that the Supreme Court acknowledged Joint Enterprise was wrong. 3 years on and only one conviction overturned. Law students give thier opinions on Joint Enterprise cases. JENGbA is going to Glastonbury! 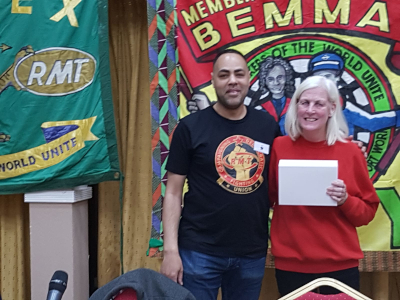 London Meeting -- 14th May 2019, MULTI-PURPOSE ROOM 2, EDWARD WOODS CENTRE 60-70 Norland Road London W11 4TX. @ 6pm. Bradford and Leeds Meeting -- 11th April, East Restaurant, 7 Richardshaw Lane, Pudsey, LS28 6BN. @ 6pm. Birmingham Meeting -- The Bullring Birmingham City Centre, Date to be announced. "This case is as simple as black and white." WHO WE ARE: We are a grassroots campaign, run by volunteers. As with all grassroots campaigns the work behind opposing the might of the legal establishment has been an uphill battle. It was a role taken on mainly by women (mothers, sisters, aunties and cousins but also heartbroken dads and uncles) who will not rest while their loved ones are serving mandatory life sentences for crimes committed by others. JENGbA was created by the legal establishment, it was not a campaign that came out of nowhere; it was precisely because the use of joint enterprise was unjust, unfair and discriminatory towards working class and BAME communities that we were forced to form JENGbA From our kitchens and meeting rooms we have focused tirelessly on this campaign. Since JENGbA’s official launch in 2010 to address the wrongful convictions of hundreds of innocent people we have campaigned tirelessly to have our voices and the voices of prisoners heard. We have lobbied and cajoled MP’s, policy makers, media commentators, the Justice Select Committee, academics and ultimately the Supreme Court. In 2016 in the case of R v Jogee (in which JENGbA intervened on the question ‘Does joint enterprise over-criminalise secondary parties?') the Supreme Court and Privy Council (Ruddock v Queen) the Judges decided the law had taken a "wrong turn" in the Hong Kong case of Chan Wing-Siu in 1984. At last the JENGbA Inside (prisoners) and outside (families) campaigners felt vindicated. The law was wrong, the judges had been getting it wrong (homicide is common law) the juries were being misdirected, the use of foresight to infer what a defendants intention had been was wrong. All these wrongs led us to believe we were right! Finally we would get justice for our loved ones! JENGbA would not exist if the law had been fair, just and transparent. It is because of bad law and accepted wrong law that we have grown into the campaign we are today. Does the legal establishment and the Court of Appeal really believe we are going to give up on our loved ones just because they can give substantial their interpretation and refuse to set precedent? 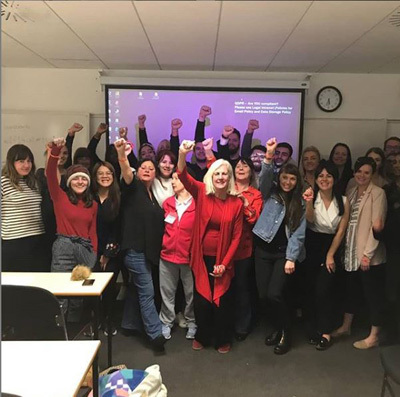 It is not just the disgrace of mandatory sentences that means we will never give up – but JENGbA has always maintained our campaign is based on love and justice for those most vulnerable in society. That is why this relaunch is imperative and why a full Inquiry into Joint Enterprise convictions since Chan Wing Siu is a complete necessity if we are to restore any faith back in to the Criminal Justice System. 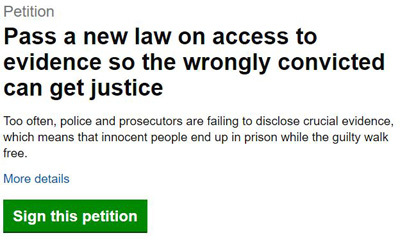 Pass a new law on access to evidence so the wrongly convicted can get justice. Too often, police and prosecutors are failing to disclose crucial evidence, which means that innocent people end up in prison while the guilty walk free. First murder conviction quashed on back of Supreme Court’s syllabus-changing joint enterprise ruling. 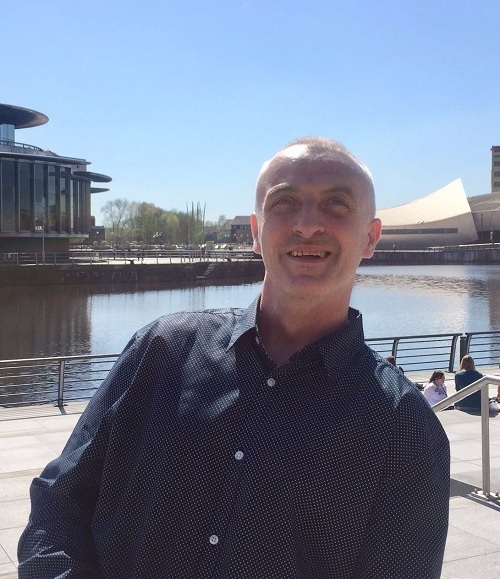 John Crilly has Joint Enterprise conviction over turned. If you are interested in more information please contact us. Or better still come to our meetings. Contact us or use links below to connect to all our online sites.